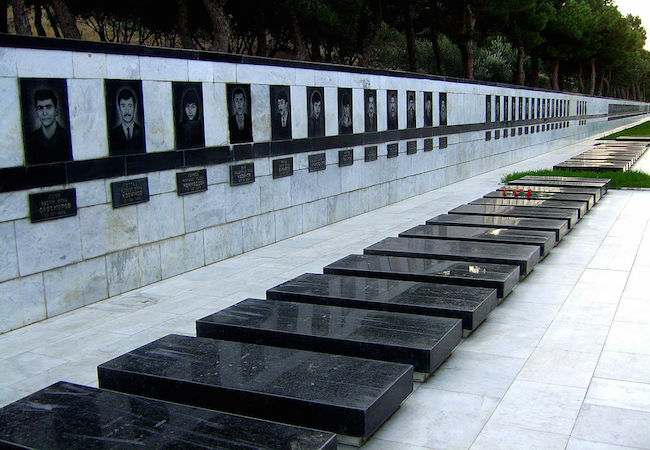 On January 20, Azeris mark the 25th anniversary of the so-called Black January events. Soviet troops, reportedly numbering some 26,000 military personnel stormed Baku, the capital of Azerbaijan on January 19-20, 1990, killing 133 civilians and wounding close to 700. In what is widely recognized a war crime committed by the Soviet regime in the waning days of the empire, Soviet tanks were ordered by the Minister Yazov to drive into Baku to subdue the overly enthusiastic Azeri crowds, populating the streets of the city to demand independence from Moscow. The Azeris were also outraged by the policies of Moscow vis-a-vis the Nagorno Karabakh issue. The overwhelming majority of people in Azerbaijan thought the Soviet leadership favored Armenia over Azerbaijan in their conflict of Nagorno Karabakh region of Azerbaijan, or at least, didn’t act to ensure the constitutional provisions as far as secessions were concerned. Thousands of Azeri refugees arriving from Armenia coupled with dozens of killed Azeris in Armenia by the end of 1989 poured more fuel into the fire. In the second week of January, communal clashes led to deaths of dozens of Baku Armenians. Although by January 13, 1990 the pogroms ended, Moscow still dispatched its special forces to take control of Baku, which was already slipping away from Soviet control. Soviet forces were ordered to instill terror by indiscriminate shooting of people and buildings. Tanks drove over the barricades of cars, built up by civilians to prevent the troops from entering the city. On their way through the streets of Baku, Soviet soldiers shot anything that moved. According to media reports, even the ambulance automobiles transporting the wounded and the dead were shot at. Killings would continue through January 22, when the city residents took on the streets to bury their victims. More than million Baku residents rallied on the public burial day. The January massacre eventually led to independence movement in Azerbaijan and in other republics of former Soviet Union, and along with massacres in Vilnius in 1991 and Tbilisi in 1989, contributed to the collapse of the Soviet state.